Find leadership, management, entrepreneurship and career related companies, service providers or resources by entering a keyword or phrase and selecting a few other basic search options. Find leadership, management, entrepreneurship and career related companies, service providers or resources by selecting various advanced search options such as: Type, Area of Focus, Industry, Country and City. »What did the investment conference deliver? »Steinhoff: Exactly where does responsibility stop and start? »Are your ethics up for sale? »Why has there been such a failure of leadership? »How to build fast, flexible and creative teams? »The horse-burger debacle: Who should bear the brunt? »Where is South Africa headed? »Is war between China and the US inevitable? »Airbnb rewrote the rules - now what? A Top 20 ranking. Triple Accredited MBA. Offices in 14 countries. Students from 100+ nations. 40,000 alumni. World-leading faculty & research. Fortune 500 clients. 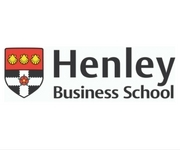 The Henley MBA. Truly global.